I was asked the dreaded question yesterday from the kids, " What are we going to DO all Summer?" Last Summer Break ( 2015) was two and a half months. That is a long time to entertain people and keep them from becoming screen zombies. The rules about screens and gadgets for the kids are very strict ( read ...MEANEST MOM EVER!). It becomes my task to organize and at least initiate activities every day. I am always so very excited about this job! 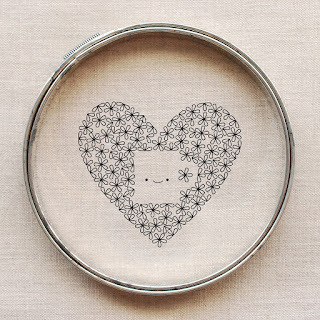 The kids are not drawn to very many things in my Go-Go Studio but the one item that is mentioned most by them are the little embroidery pincushions I have. 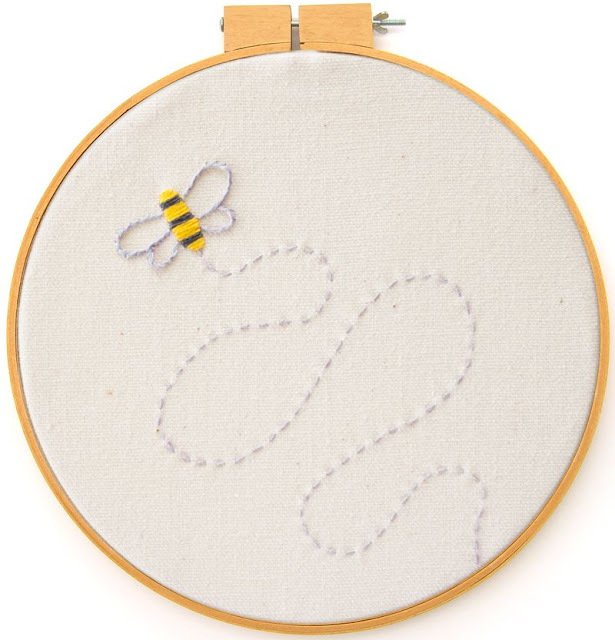 They say that they look like sewing Pokemon and try to give them names. It was the 25 year old that was suggesting the Pokemon names. 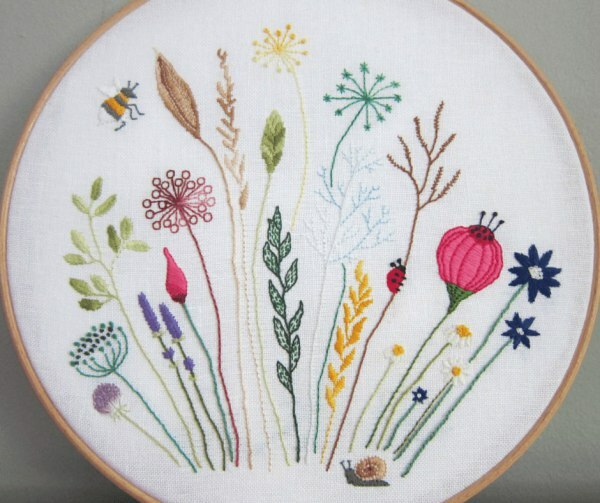 Embroidery is a wonderful quilt activity that kids of many ages can do while just sitting around. 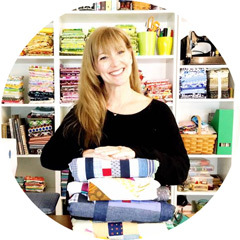 There are numerous free patterns available for everyone on the internet for immediate use. 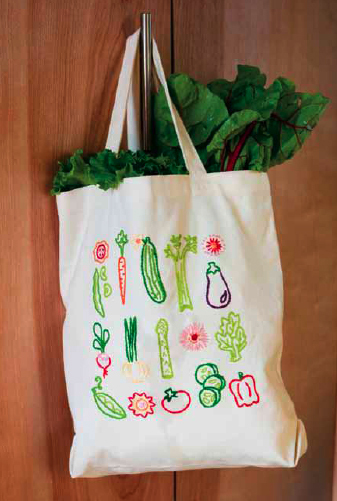 It is also great for fine motor skills and eye hand coordination. 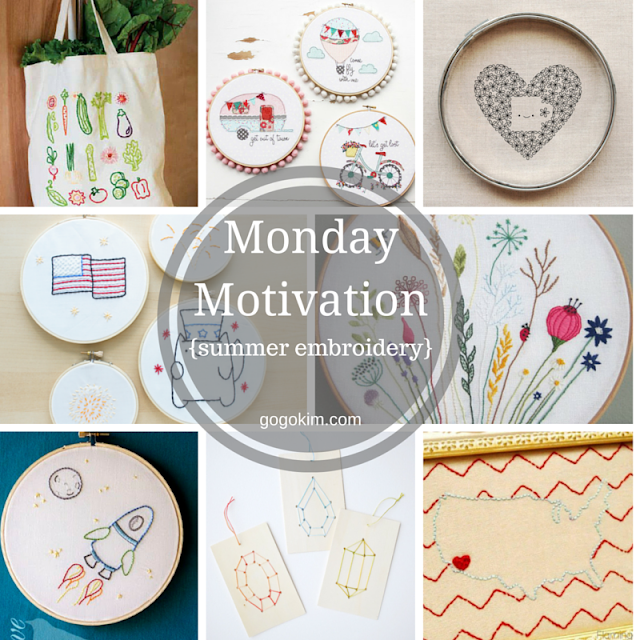 Monday Motivation is Summer embroidery! It is no secret that I am completely addicted to coffee. It is my must have every morning when I wake up. I am not officially awake until after my second cup. My kids know to ask if I have had coffee before speaking to me too early in the morning. 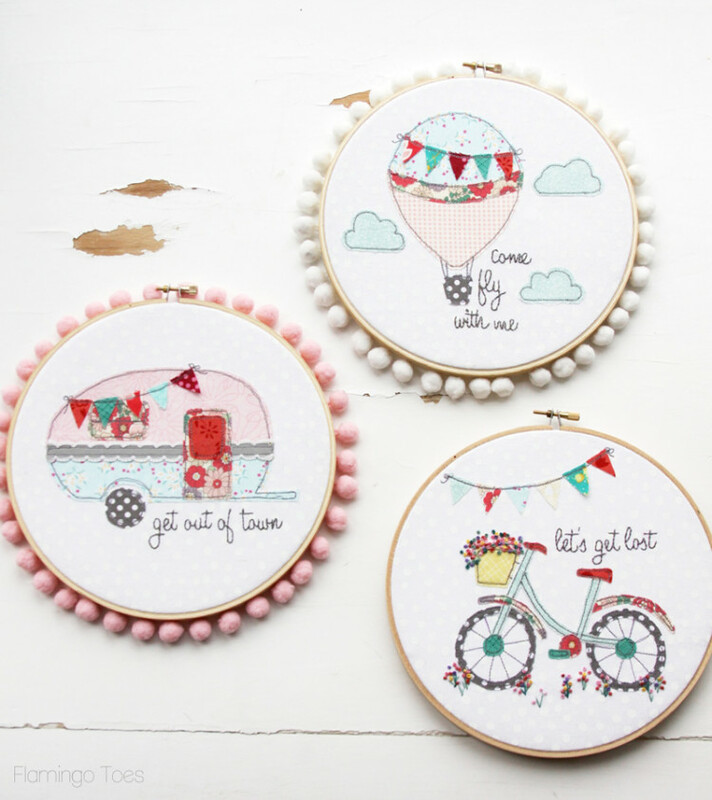 This adorable free pattern Love of Coffee by Wild Olive is perfection! The in house engineer was a Navy pilot and really has always been fascinated by outer space. Naturally, with three boys ( and a girl), there have always been planes and rockets on prints, books and bedding somewhere in our home. 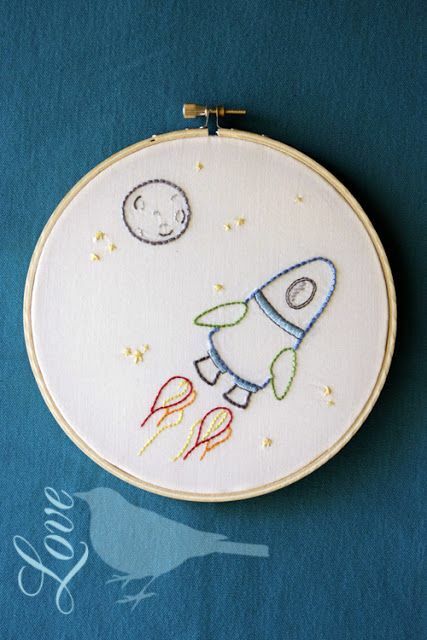 I saw this free little Outer Space embroidery pattern by Love The Blue Bird and fell in love! July 4th will be here in just a couple of weeks! 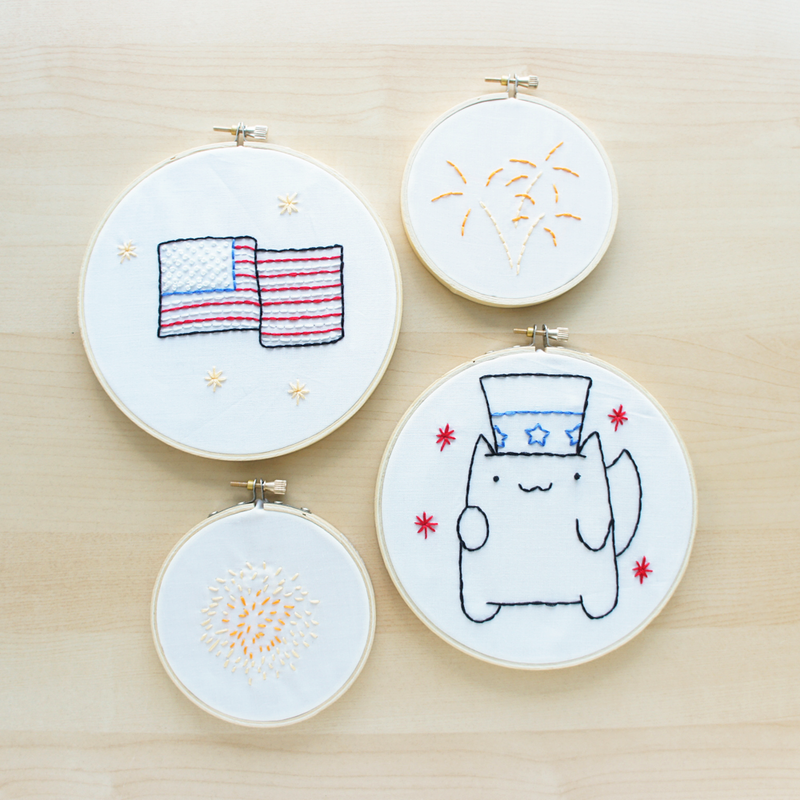 These super simple and sweet 4th of July free embroidery patterns by Becky from The Pink Samurai would be great to make on a car trip to the beach ( I am dreaming). We have lived from coast to coast and a couple of places in between! 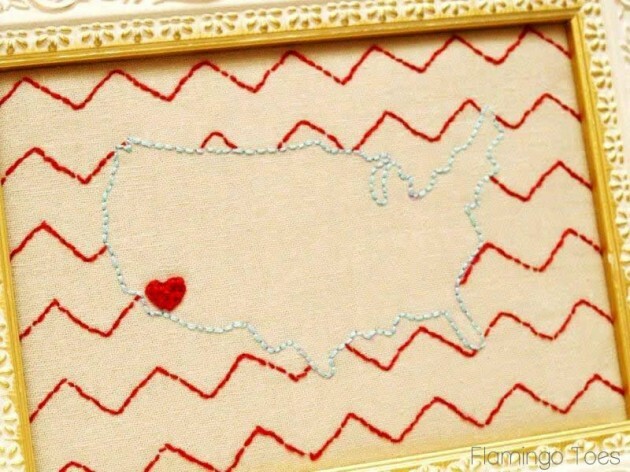 This Embroidered USA map free pattern and tutorial from Flamingo Toes would be a great way to make little hearts on all of the places you love! When we lived in San Diego, we saw lots of hot air balloons! They are so beautiful! 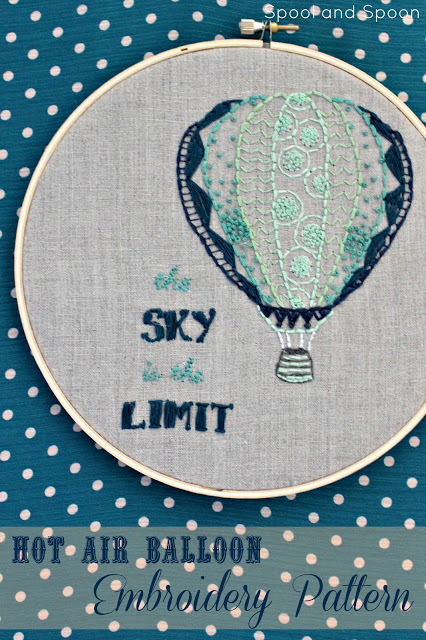 This darling Hot Air Balloon pattern is by Spool and Spoon! 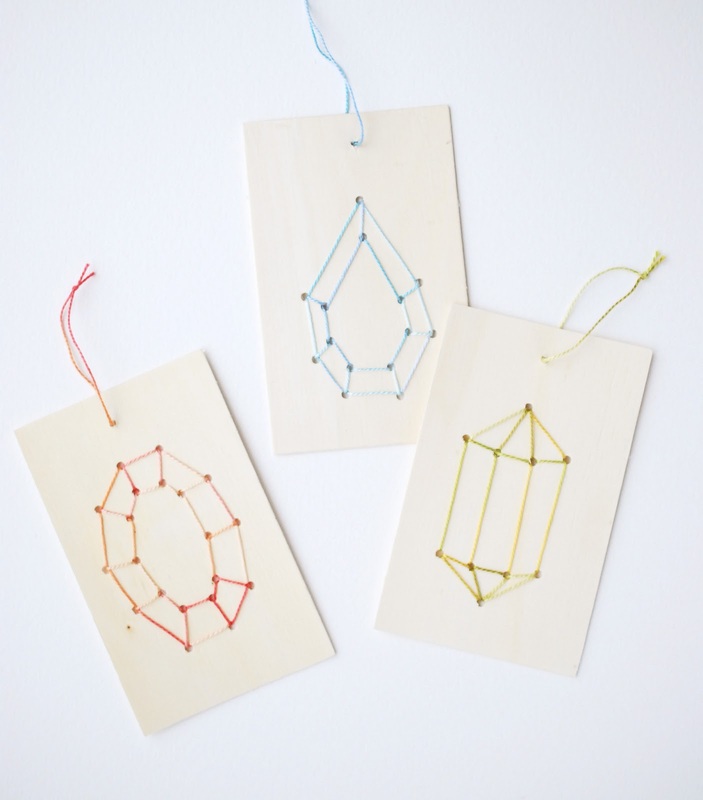 Mollie from Wild Olive made these embroidered wooden ornaments that could possibly be for a very beginner with very few stitches to create. Love these gemstones! Because Flamingo Toes is just the BEST! Check out these adorable Embroidery hoop art with free patterns and tutorials for Let's Get Lost in Summer! Thank you SO much for featuring my embroidery patterns! This is such a fun roundup - perfect for summer too! Hilary, Embroidery is the perfect Summer project! Beverly, Thank you for sharing your awesome talent with everyone! LOVE your patterns!